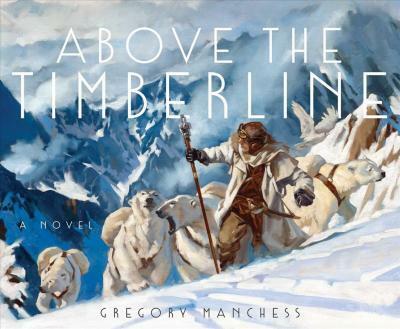 From renowned artist Gregory Manchess comes a lavishly painted novel about the son of a famed polar explorer searching for his stranded father, and a lost city buried under snow in an alternate future. When it started to snow, it didn't stop for 1,500 years. The Pole Shift that ancient climatologists talked about finally came, the topography was ripped apart and the weather of the world was changed--forever. Now the Earth is covered in snow, and to unknown depths in some places. In this world, Wes Singleton leaves the academy in search of his father, the famed explorer Galen Singleton, who was searching for a lost city until Galen's expedition was cut short after being sabotaged. But Wes believes his father is still alive somewhere above the timberline. Fully illustrated with over 120 pieces of full-page artwork throughout, Above the Timberline is a stunning and cinematic combination of art and novel. "ABOVE THE TIMBERLINE is a thing of beauty." ---- Mike Mignola, "Creator of Hellboy "
Gregory Manchess is an award-winning painter and has worked as a freelance illustrator for nearly forty years on advertising campaigns, magazines, and book covers. His work has appeared on covers and for feature stories of National Geographic, Time, The Atlantic, and Smithsonian. Gregory's excellent figure work has led to numerous commissions for stamps by the US Postal Service, including the Mark Twain stamp and the recently released March on Washington stamp. With Manchess's passion for history, the National Geographic Society sent him on expedition to record the exploits of explorer, David Thomson, and chose his work to illustrate the adventures of the first discovery of an actual pirate ship for the traveling exhibition, Real Pirates: The Untold Story of the Whydah, from Slave Ship to Pirate Ship. Widely awarded within the industry, Manchess exhibits frequently at the Society of Illustrators in New York. His peers at the Society presented him with their highest honor, the coveted Hamilton King Award. Gregory is included in Walt Reed's latest edition of The Illustrator in America, 1860-2000. He lectures frequently at universities and colleges nationwide and gives workshops in painting at the Norman Rockwell Museum in Stockbridge, and the Illustration Master Class in Amherst, Massachusetts.